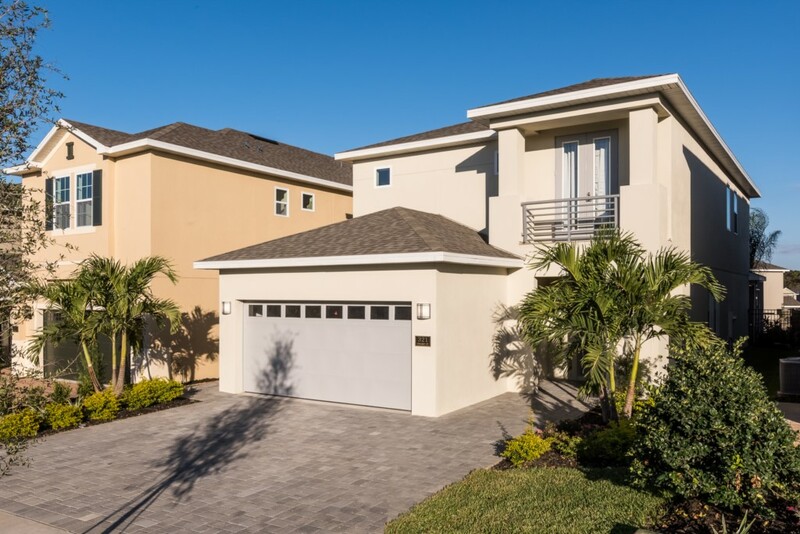 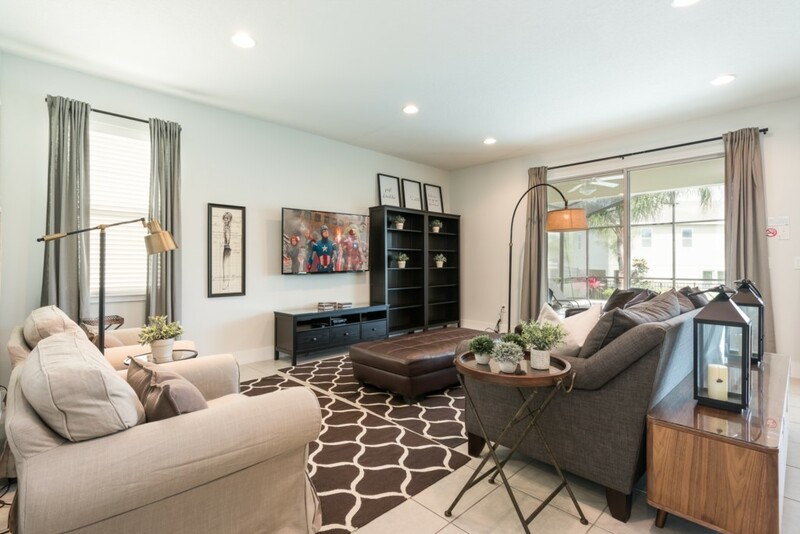 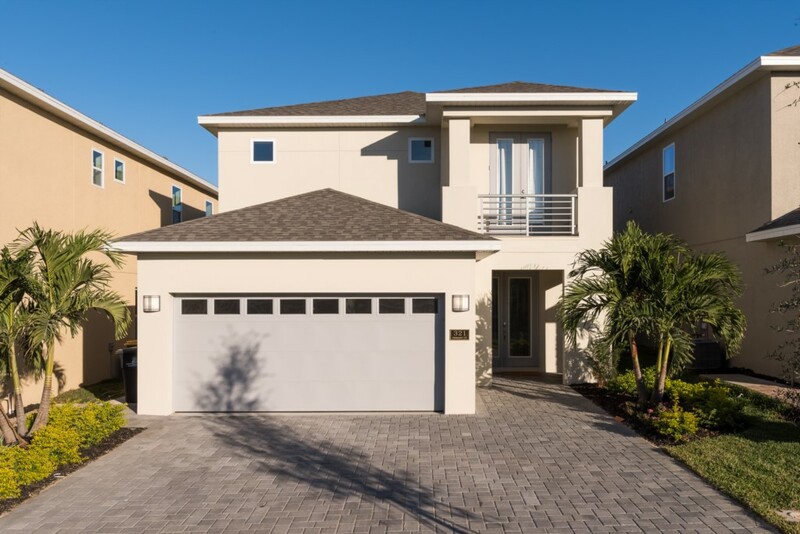 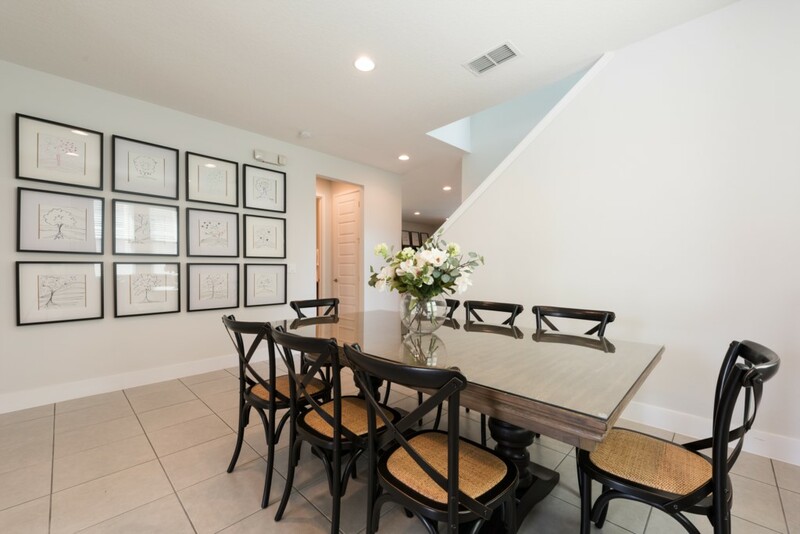 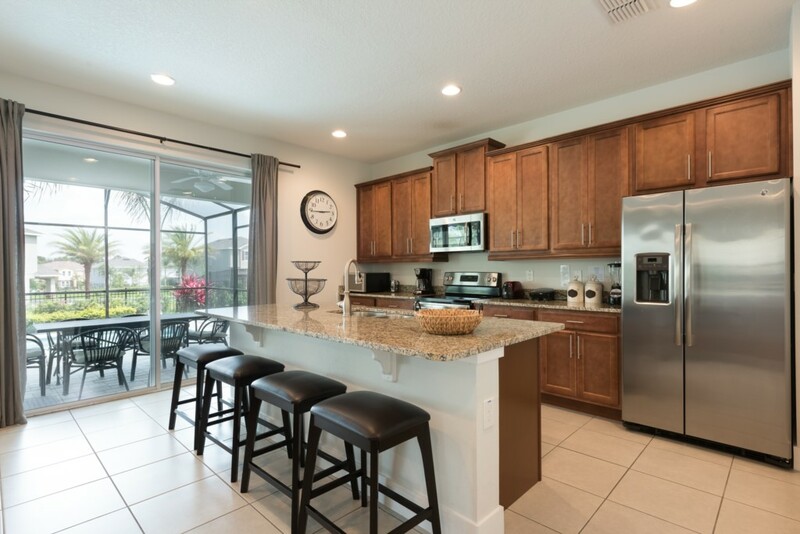 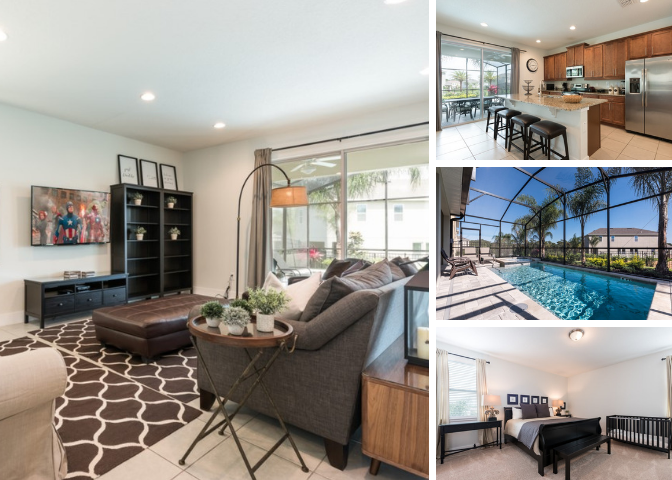 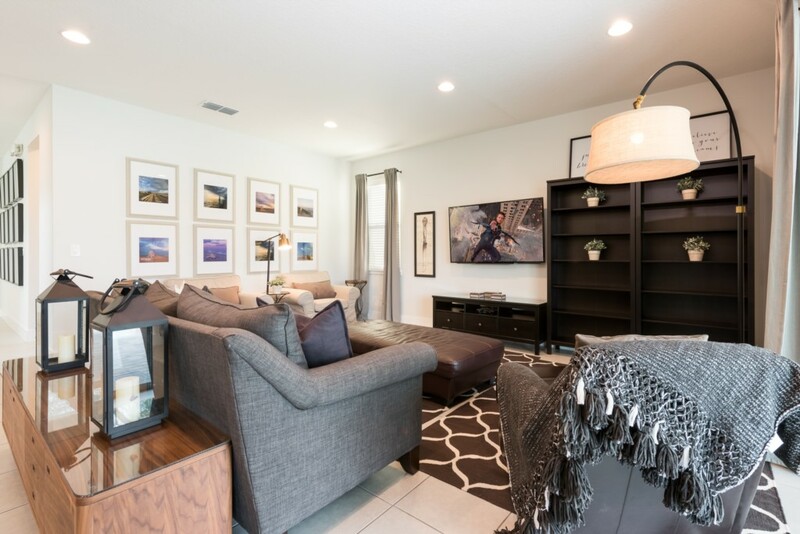 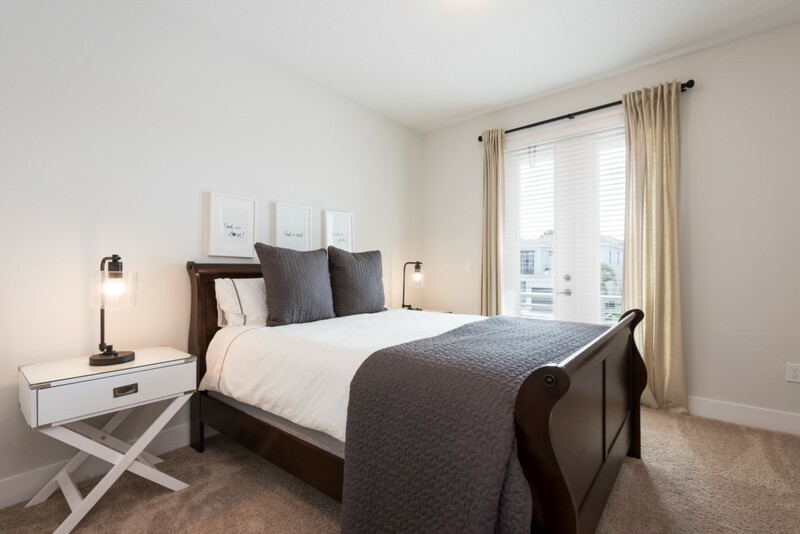 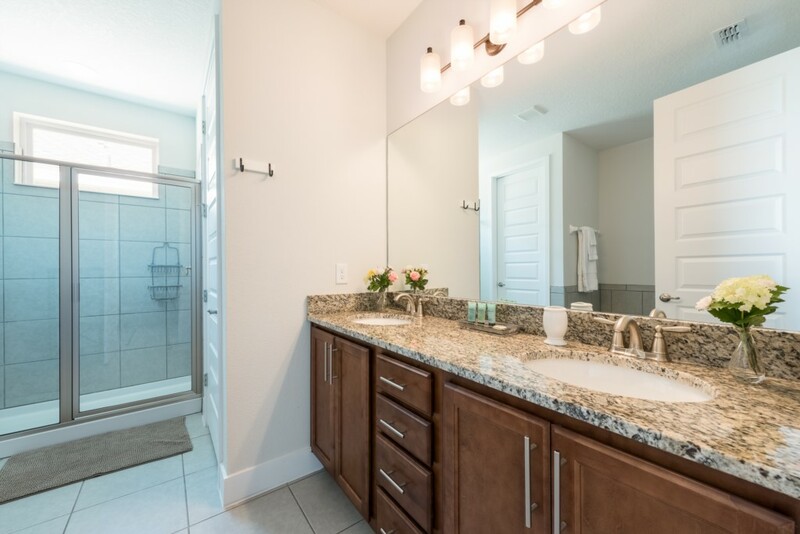 This contemporary 5 bedroom villa located at the Encore Club is less than a ten minute drive to Walt Disney World and their four incredible theme parks. 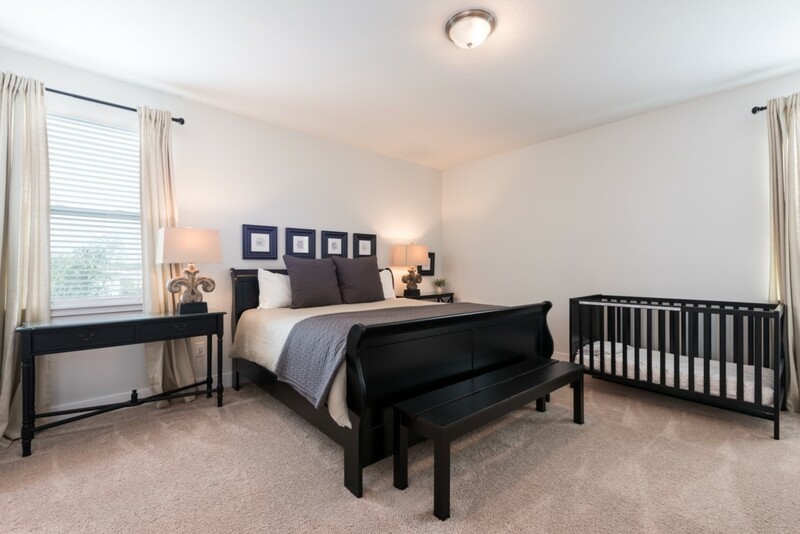 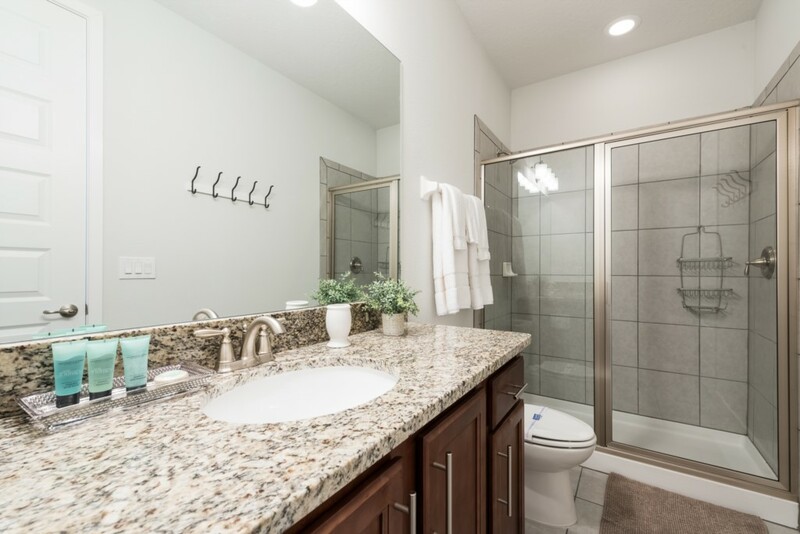 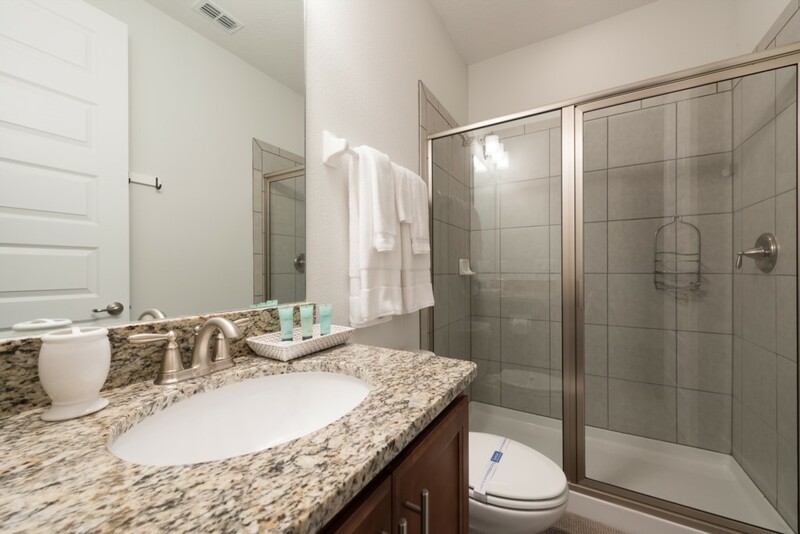 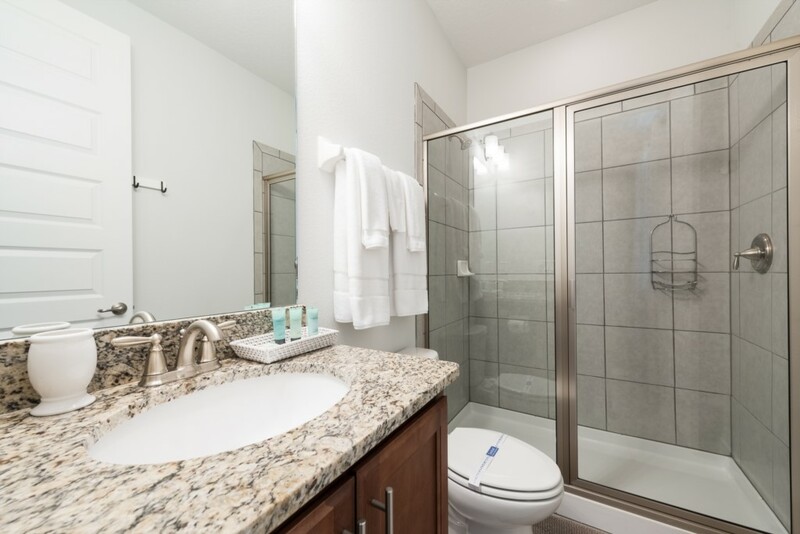 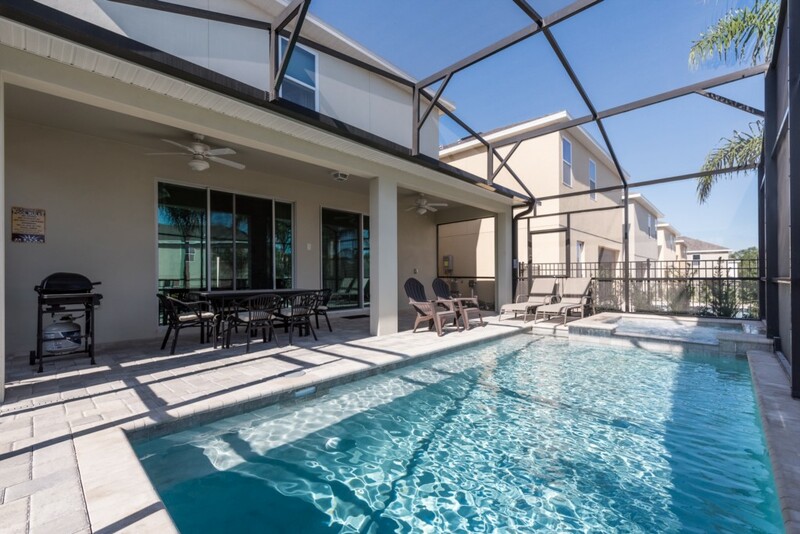 There is also exclusive on property amenities that the Encore Club offers such as a waterpark with drop and twisting slides as well as a clubhouse with delicious restaurants! 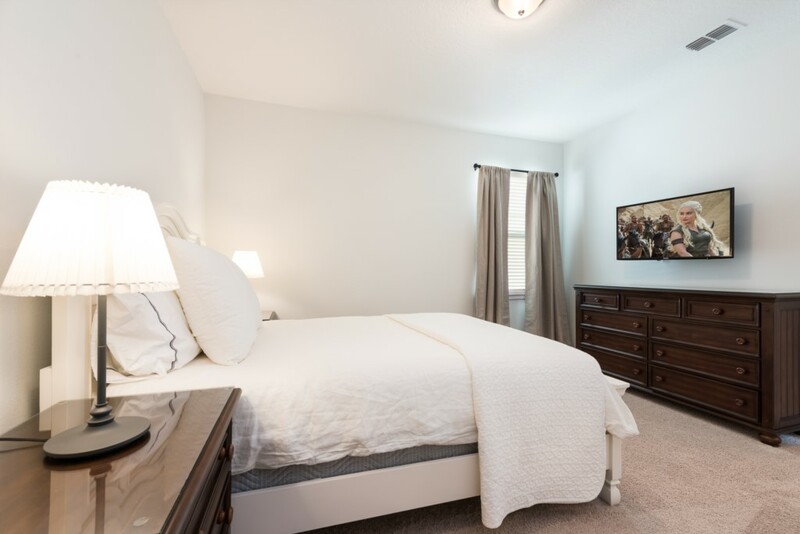 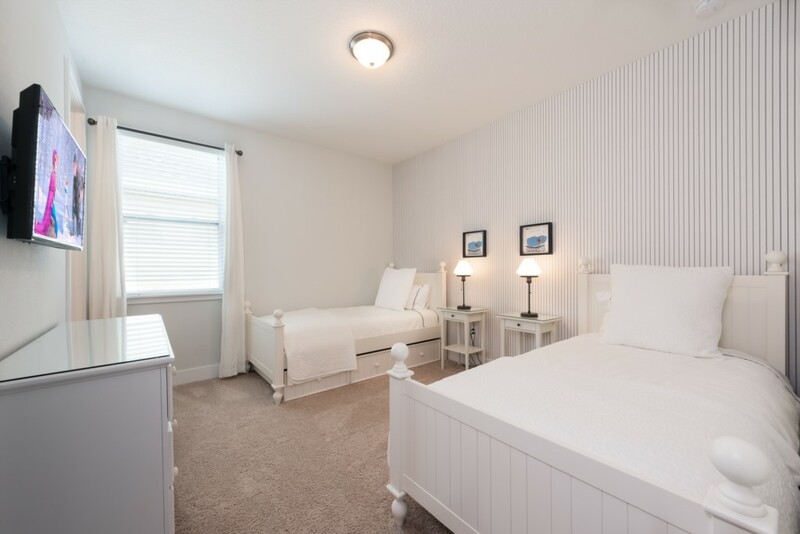 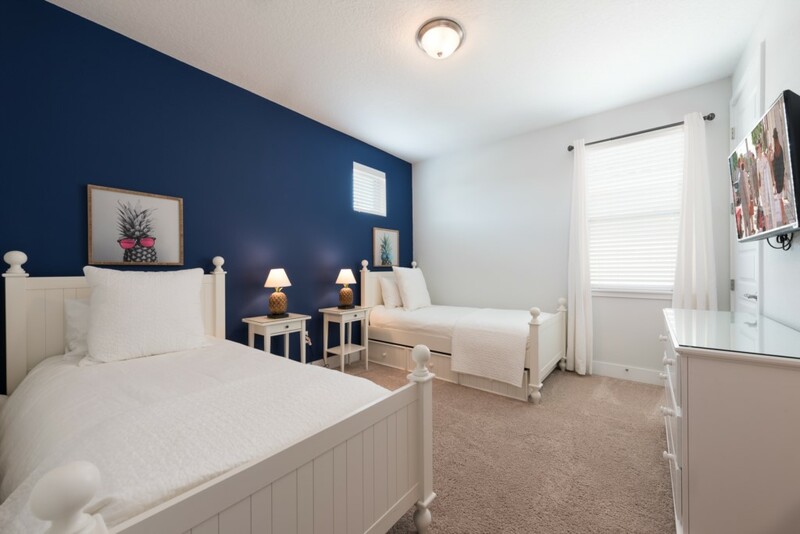 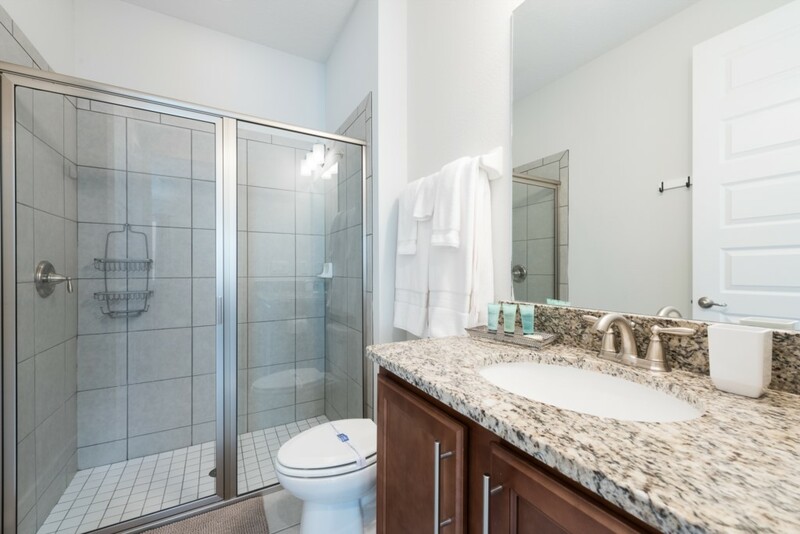 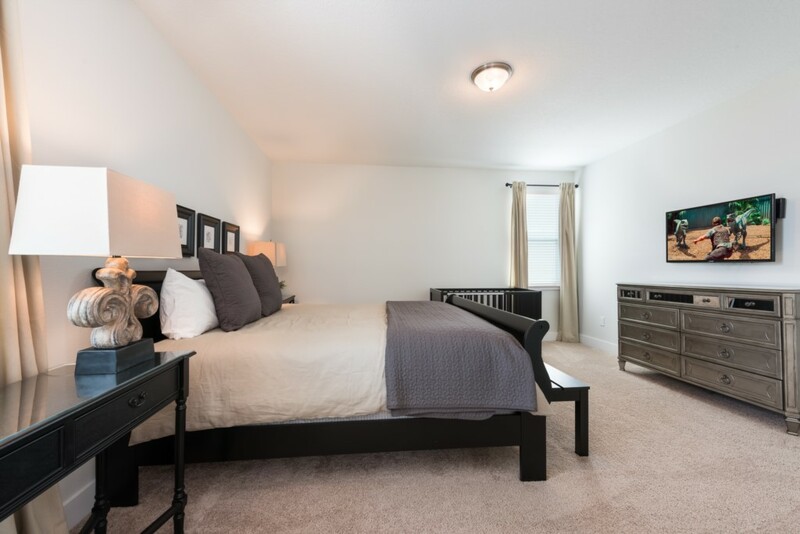 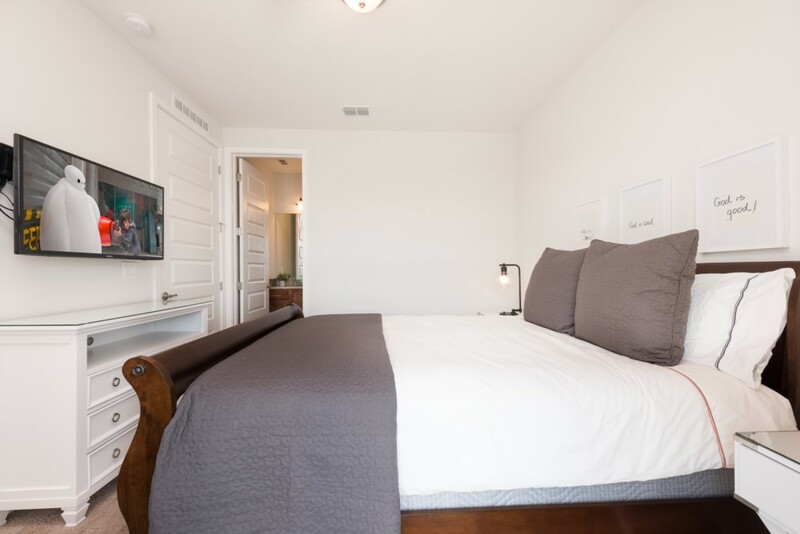 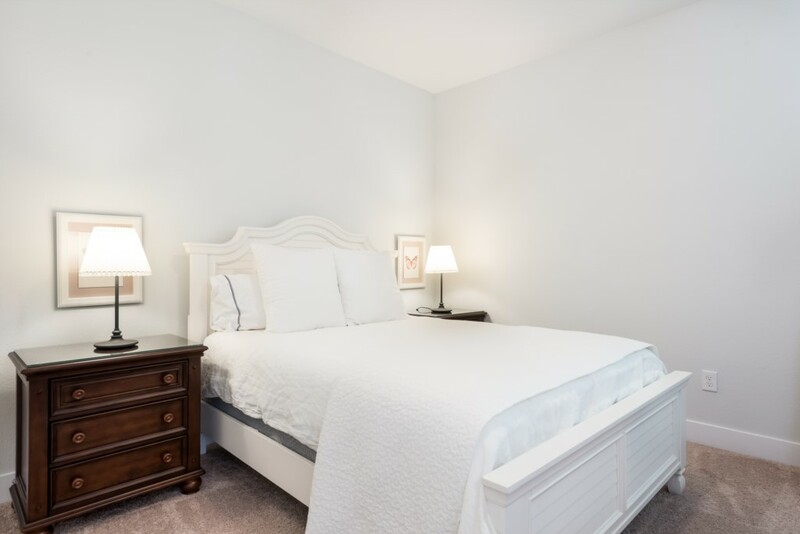 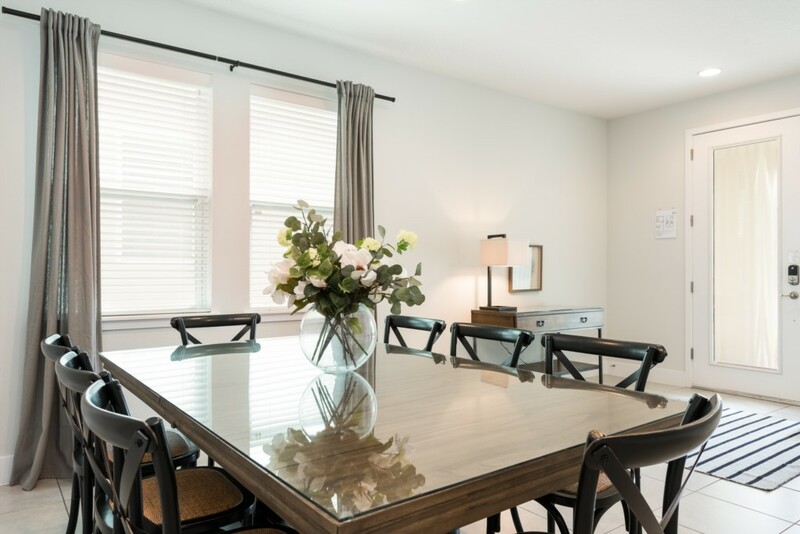 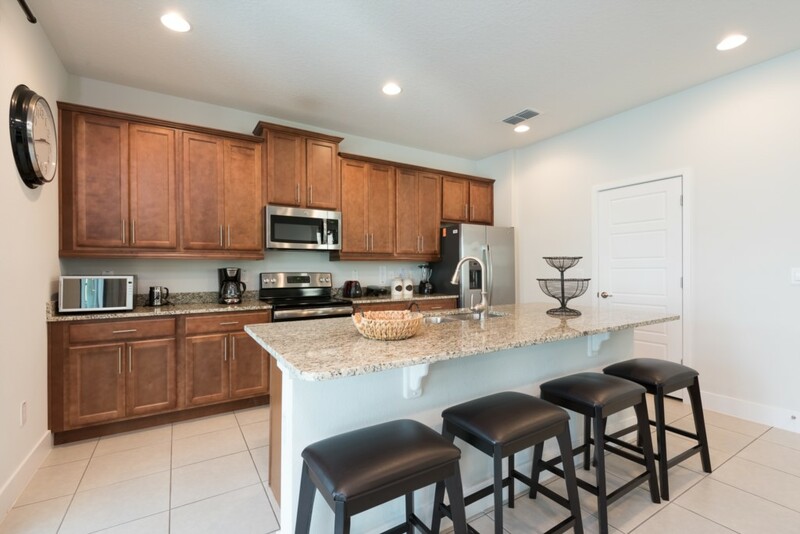 Bedrooms are located across both floors, sleeping up to 10 guests comfortably and with privacy.A fully equipped kitchen with a breakfast bar allows the entire family to enjoy home cooked meals in the pleasure of your own vacation home. 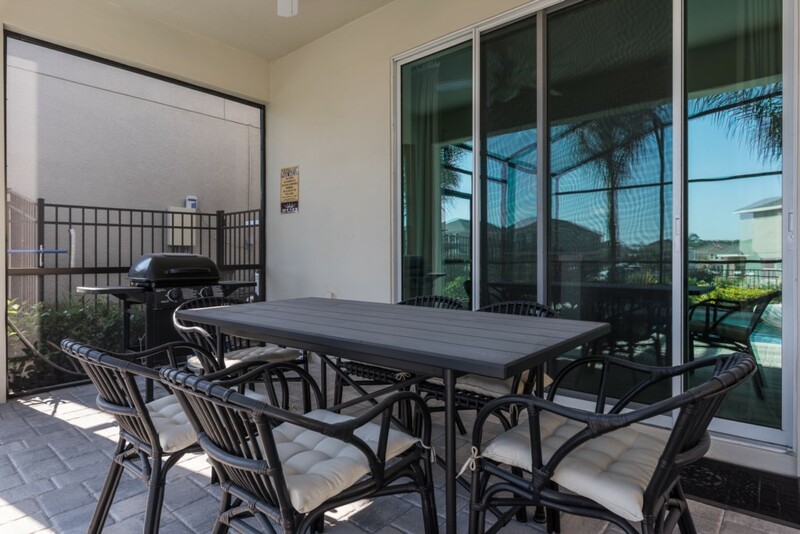 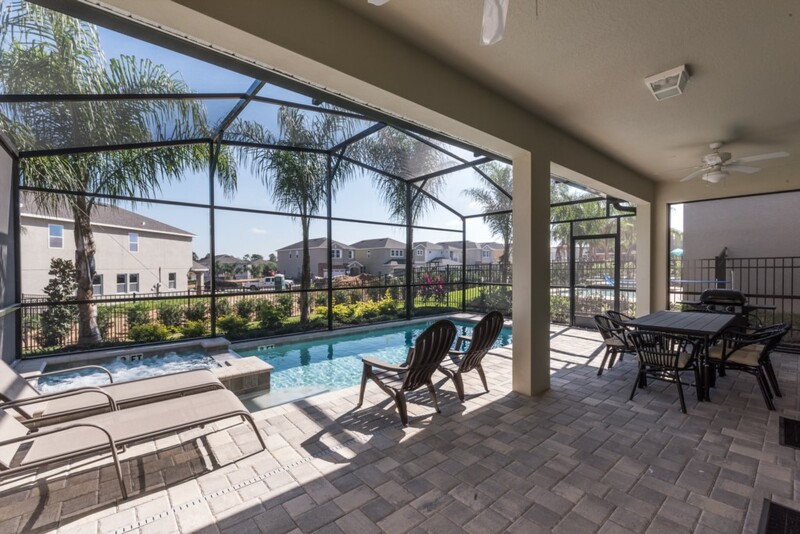 A private pool deck and spa is the only way to unwind on vacation and enjoy the Florida sunshine right outside your patio doors!